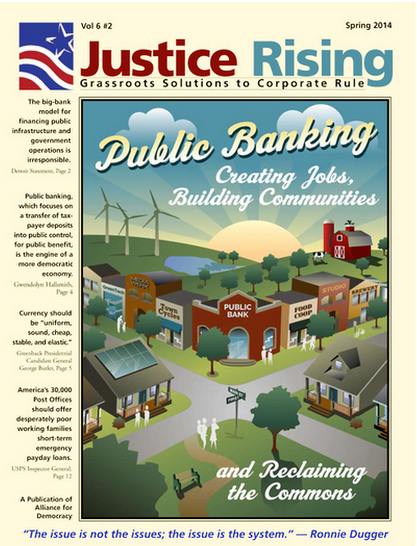 “The Municipal Bank: An Overview” and the accompanying technical document lay out a broad framework for how municipalities can establish, fund, and operate publicly owned municipal banks based on principles of egalitarian, redistributive justice, worker rights, and more ecologically sound urban development. "A public banking initiative for the City of Santa Fe is feasible and has the potential to provide enhanced fiscal management, improved net interest rate margins, and a more robust local lending climate. " View the Brass Tacks Team, which advocates for a Santa Fe public bank, website here. "The results demonstrate that The Bank is a sound economic resource for our community. Our research indicates that The Bank will continue to have a positive cash flow and loan growth. The City of Santa Fee will have a responsible banking partner and the community will begin to see opportunities to start and grow their businesses, or buy affordable homes."